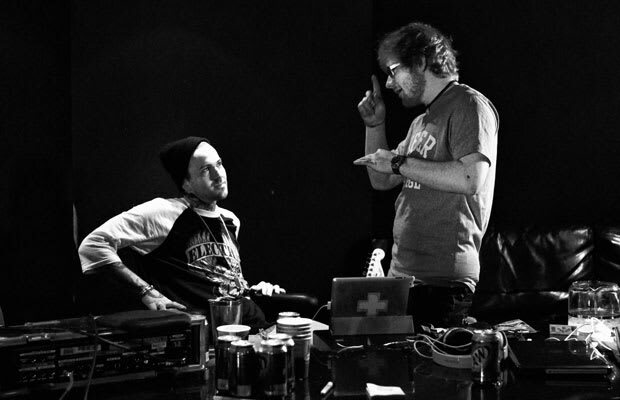 Ed Sheeran: "I'm just a big fan of Yelawolf. I kind of worked up to having my music be a success in England and was in a position to do a lot of things. One of the things I wanted to do was work with him. I reached out, he said yes. We had 10 hours in the studio and it is some of the most interesting music I've ever made. His work pattern is amazing. I'd make the beat and sing the hook, he'd write a verse in about 15 minutes and go in and do it in one take. No gaps, no breaks, nothing. In and out."